In 3D printing or additive manufacturing as the industrial 3D printing is officially called, a physical object is manufactured from a digital 3D model with a 3D printer. The biggest difference to the traditional manufacturing methods, where an object is usually produced by removing material, is that in 3D printing the product is created by adding material layer by layer. The principle is always the same regardless of the printing technology or material. Product portfolio is kept in a digital storage and the physical products are manufactured only against a customer demand, which gives an opportunity to offer a much wider range of spare parts for example. More freedom of design when even the complex shapes can be printed as one piece. The design can be optimized for the functionality, which leads also to an optimized shape and material consumption. Faster product development time when the prototypes and test products can be manufactured and changes to the design made within days. No need for tooling so the production and sales can start faster. Also, changes during the product life cycle are fast and easy to implement. Production can be on demand only, no stocking necessary. Cost-efficient production of single pieces and small series. Producing customized products including mass customization almost without added costs. Production generates very little material waste. Cost-efficient logistics and supply chain, especially when manufactured locally near the customer. Also, traditional manufacturing processes and production lines can be made more efficient by integrating 3D printing solutions to applicable phases. 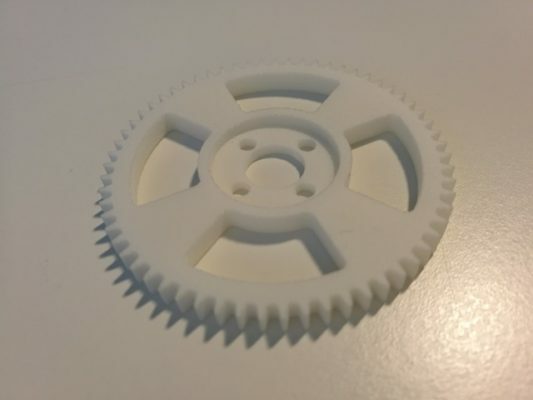 We print end products and prototypes both single pieces and series like components, partial and functional assemblies, spare parts, production tools, scale models and many others. Contact us and ask for quote. Currently, the seven main 3D printing technologies are further divided to ca. 15 different sub-technologies. 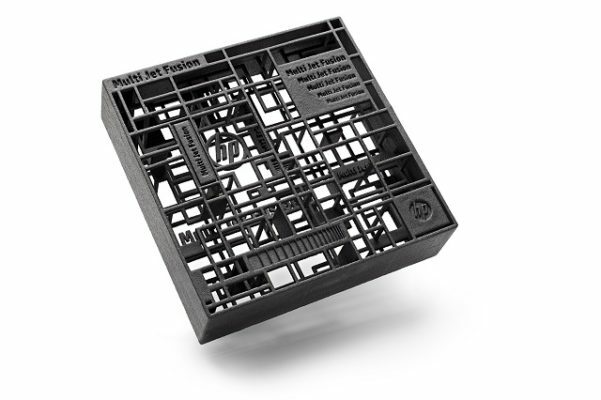 In our in-house production pool, there are devices from three different technologies – HP Multi Jet Fusion, Stereolithography and Fused Deposition Modeling -, but thanks to our extensive sub-contractor and partner network we are able to provide prints in most printing technologies and available materials including metal prints. Short introductions of the most common printing technologies are given below. The heart and soul of our in-house production is HP Multi Jet Fusion (MJF) technology, which is one of the fastest and most cost-efficient industrial printing technologies on the market. MJF is based on powder bed fusion, where the objects are made of powder by fusing and curing it with the help of heat and agents. A full height build is printed in ca. 16 hours and the cooling time is ca. 2 days. This is for the maximum height and the lower the build the faster it is printed and cooled. There is also a fast cooling option that shortens the cooling time signifcantly. However, product’s / build’s suitability for fast cooling must be checked and decided case by case. MJF suits very well for printing functional products and complex high precision designs, both quality end products and prototypes. The prints can be post-processed by painting, dyeing or varnishing them. There are very little design limitations, but since the powder works also as support, its removal should be taken into consideration in the product design. Find more design tips from the attached document. Read more about PA12 material and its technical features. Stereolithography (SLA) is one of the oldest 3D printing technologies. 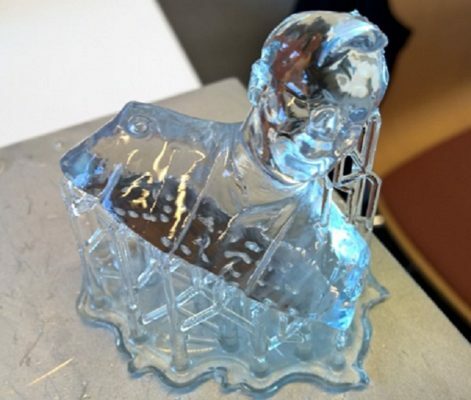 In SLA, the object is made of liquid resin by curing it with a laser. 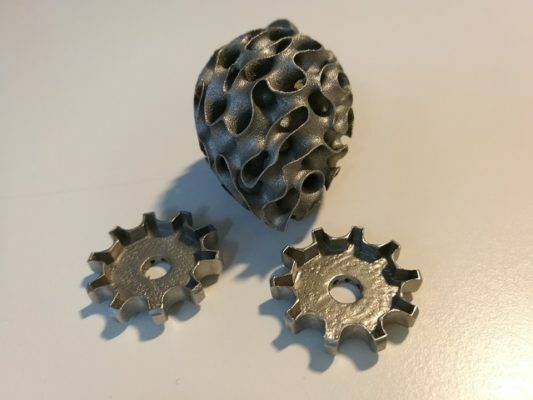 It’s possible to produce both soft and hard objects and it suits very well for proto types of relatively small products that have high precision details, statues, jewellery and molds that require smooth surface. The support structure is build of the same resin material and is removed mechanically. The prints can be post-processed for example by painting or varnishing them. For many people, Fused Deposition Modeling (FDM) is the most familiar 3D printing technology since the affordable desktop printers that are used for example in schools and by hobbyists are all based on FDM technology. In FDM, the filament is melted and then extruded onto the printing bed layer by layer. The material cures as it cools. Our FDM printers are production level devices and they are suitable for example for making molds. Selective Laser Sintering (SLS) is one of the most common industrial 3D printing technologies. SLS is a powder bed based technology, where the powder is sintered with a laser. The material is usually polyamide, although some elastomers have recently become available, too. In SLS the printing speed is relatively fast, but the cooling time rather long. There are very little design limitations and the technology is suitable for printing functional products and complex designs of end products and prototypes. The powder works also as support material and its removal should be taken into consideration in product design. Overall, the surface quality and other features and similar to objects printed with HP MJF technology. There are a couple of significant differences, though. SLS prints are white whereas MJF prints are grey. MJF prints have also a higher density. Thanks to the white colour dyeing of SLS is easy and the variety of colours wide. Metal printing is currently the fastest growing area in 3D printing industry globally. It has two common technologies, Selective Laser Melting (SLM) and Electron Beam Melting. Both technologies are based on use of heat for melting the metal powder, SLM with laser and EBM with electron beams. Both of them require a support structure that works also as a heat conductor. There is a wide variety of available metal materials aluminium and steel being the most commonly used. Quality of the metal prints is equal to products manufactured with traditional methods when it comes to chemical combounds, mechanical features as well as micro structure. Printed objects can and should be designed so that they are optimized for their functionality, which enables smaller and lighter solutions. This is one of the reasons why especially aircraft and vehicle industries are increasingly implementing 3D printing to their processes. The wider implementation across different industries has been slowed by metal printing’s significantly higher cost compared to plastic printing, that is mainly due to more expensive equipment and material, but especially due to demanding and labor intensive post-processing of the prints. As additional service we offer post-processing of the printed objects. Dyeing is the most commonly asked post-processing service. In dyeing the objects are sunk into dye that is absorbed into the object. This method doesn’t impact the measurements, surface quality or other features of the object. HP MJF prints are natuarally grey in the surface and black inside, which limits the amount of available dyeing colours. At the moment black is the only option for them. For SLS prints there are more colour options. We paint / varnish single products and series of few pieces ourselves. For bigger batches and more demanding needs we use a professional paintshop. This service is available for all plastic prints. We offer also selected special coatings for prints as well as do various assembly work like for example attaching screw inserts etc. 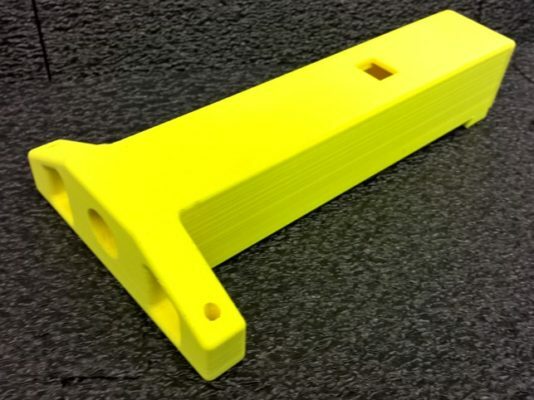 A smaller scale silicon molding with 3D printed molds and laser cutting can be found from our service offering, too. Contact us and ask more about the additional services.